Team Meat, consisting of Edmund McMillen and Tommy Refenes, has prior experience with games containing randomly generated content. Team Meat’s last major release was Binding of Isaac, a top-down shooter with procedurally generated dungeons. Tommy Refenes will also be working on Mew-Genics. Currently, Team Meat is also developing a new Super Meat Boy game for iOS and PC dubbed Super Meat Boy: The Game. 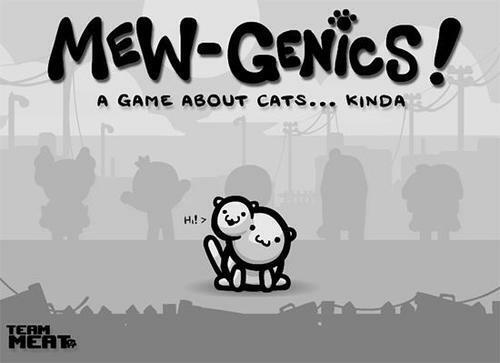 Edmund McMillen did specify that Mew-Genics would be released prior to SMB:TG.